I hope you are all well and keeping warm! 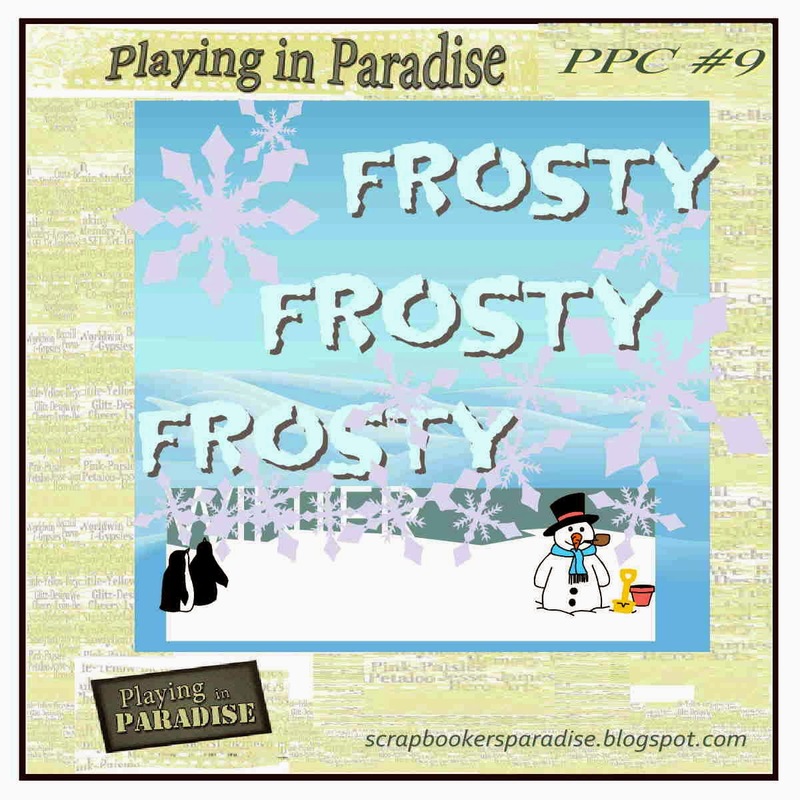 It is time for a new Playing in Paradise challenge, and with the new year comes a new format. Instead of sketches, we will be using themes. To kick things off, our talented new designer Lee-Anne has chosen a 'Frosty' theme. 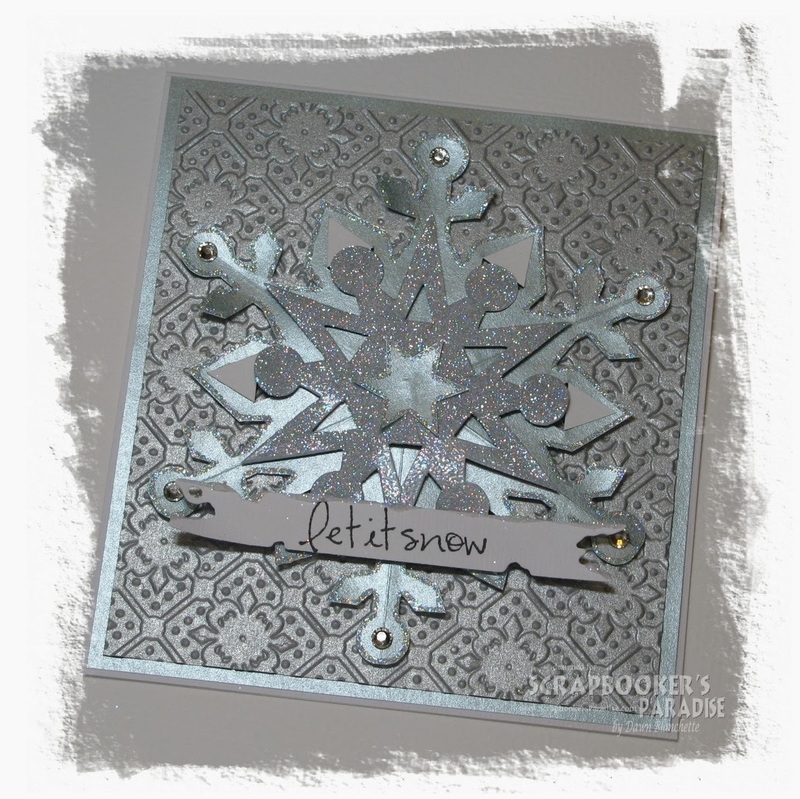 Include the word, snowflakes or do a winter inspired project. For my project, I cheated a bit and cased one of my own previous CAS cards. I have been 'under the weather' so I'm not sure I would have been able to get a project done otherwise. The team has made some gorgeous projects to inspire you, so pop by the challenge to check them out and get all the details. I hope you will join in! So gorgeous Dawn, I love the frost colours and beautiful textures too. Sorry to hear you have been unwell, I hope you are feeling better soon. This is such a beautiful card Dawn! I love the shimmery paper and the glitter and embossing... it all works together so well. I'm sorry you haven't been feeling well. Hope it's not that terrible flu that everyone's catching. Take care and feel better soon! Gorgeous snowflake work. Almost makes me appreciate winter...kidding. Keep smiling and creating. 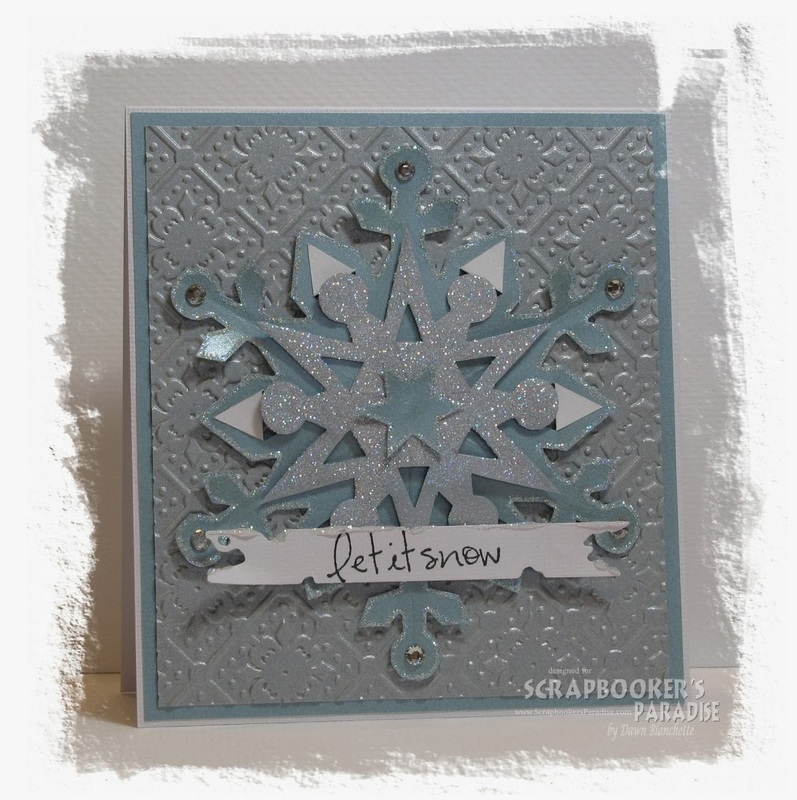 Gorgeous snowflake Dawn, great colors and embossed background.